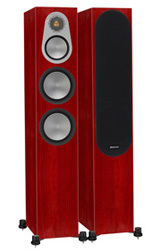 When Parasound designed the highly acclaimed JC 2, the company underestimated how many enthusiasts would want to use the JC 2 in a blended stereo-surround system. The JC 2 BP accomplishes this seamlessly and with no compromises. And its sound and specs are identical to the JC 2. The JC 2 BP is identical to the original JC 2 stereo preamplifier, with the addition of a home theater Bypass function. The new Bypass function enables your surround system’s left and right front speakers and their power amplifier to do double duty as the left and right channels of an analog stereo system. 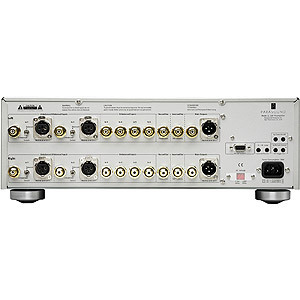 Simply connect the JC 2 BP between your surround processor or receiver’s left and right channel line level output jacks and the input jacks on the power amplifier which drives your left and right front speakers. Your stereo analog sources will connect to the JC 2 BP so you can listen to your favorite music without compromises to analog purity that are inevitable when digital processing circuitry is in the same chassis. When you want to watch movies with digital surround simply press a button on the JC 2 BP’s new remote control and the left and right front channel signals from your surround processor or receiver will pass through the JC 2 BP as if it wasn’t even there. Enjoy the best of both worlds with perfect analog stereo and a seamless transition to digital surround. How Does the JC 2 BP Bypass Work? The JC 2 BP lets you bypasses its master volume control and the left and right channel gain controls. Fixed resistors set the signal level at its output jacks for 'unity gain.' This means the signal level at the JC 2 BP output jacks is exactly the same as the signal level at its input jacks so you won’t need to re-calibrate the speaker levels in your surround system. The JC 2 BP Bypass function operates with both its unbalanced and its balanced inputs and outputs. The Bypass function does require the JC 2 BP to be powered on, since the bypass circuit is active. See below for information on the amazing JC 2. 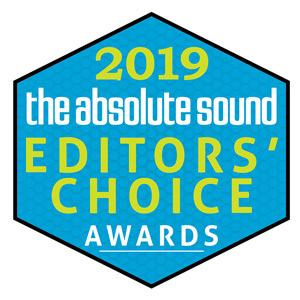 "A Product of the Year in Any Year"
The Absolute Sound Magazine honored the Parasound JC 2 with a "Product of the Year Award" in its January 2009 issue. 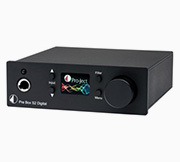 "This is a terrific linestage preamp that would be a Product of the Year in any year." 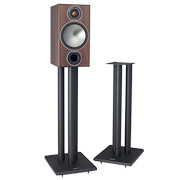 "My guess is that the Parasound Halo JC-2 can compete successfully against preamps, solid-state or tubed, that sell for twice the price -- or more," reports Sam Tellig in the December 2007 issue of Stereophile. "Like the JC-1, the JC-2 is up there with the best of them, but down to earth in price." "The JC 1 / JC 2 combo produces a remarkably detailed and shockingly realistic sound," marvels Steve Guttenberg in the June 2008 issue of Home Entertainment magazine. 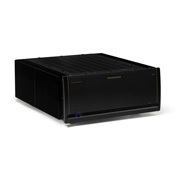 "If you are new to high-end audio, Parasound’s JC 1 / JC 2 combination is a great place to start." The Halo JC 2 is a pure analog preamplifier that is the product of pure genius. John Curl's CTC Builders, creators of the famed JC 1, designed the JC 2 to be Parasound's next legend. The design team achieves an amazing 116 dB signal-to-noise ratio with the JC 2 by isolating its dual-mono audio circuits from the power supply by placing them behind noise-killing 3/8"-thick shields. Balanced inputs and outputs -- featuring Neutrik XLR connectors -- a switchable polarity invert, and a full-function wireless remote control all contribute to the affordable luxury of owning a Halo JC 2. "The JC-2 allows music to emerge intact -- withy body, bloom, and dynamics, with definition and detail -- from an utterly silent background," reports Sam Tellig in Stereophile. From the beginning, Parasound made quiet operation a priority of the JC 2. In fact, the company wanted this to be the quietest preamp that you can buy – at any price. Instead of relying on a toroidal transformer, which is typically found in quality AV components, the design team opted for a high capacity R-core audio power transformer and inductor with additional filters and special low-ESR capacitors. Unlike a toroidal transformer, this premium technology does not pass noise through to the rest of the circuitry, contributing to the JC 2's dead-quiet operation. 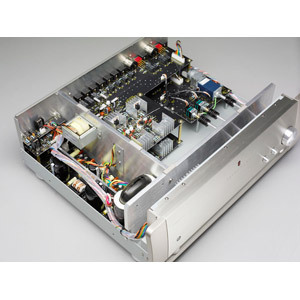 The heavily regulated dual-mono power supply boasts hyper-fast soft recovery audio bridge rectifiers diodes. And there's an independent power supply for controller, relay coils, triggers, and LEDs, an approach with keeps the preamps 'housekeeping' circuits well out of the audio chain. "I can vouch for the results," says Alan Taffel about the ultra-quiet design in his January 10, 2007 report on the CES show for AVguide.com. "In one of the simplest but most effective demos of the show, I placed my ear directly against the driver of a speaker being fed by a JC-2/JC-1 combo set at maximum volume. I could hear absolutely nothing." Dual-mono left and right channel circuit boards minimize crosstalk. The direct DC servo-coupled design uses no capacitors in the signal path. The premium four-gang motor-driven analog master volume control uses separate TKD brand analog gain controls for L and R channels. The audio mute is switched by independent L and R relays. The JC 2 includes six pairs of unbalanced RCA line-level audio input jacks. Two input pairs can be switched to XLR balanced connectors. There's an independent balanced/unbalanced select for the left and right channel, and each channel's input is switched by its own gold-on-silver contact relay. Separate output jacks are provided for simultaneous normal and non-inverting polarity. The four output jack pairs have specialized functions. One main output jack pair is balanced XLR, and the polarity can be switched by the wireless remote. One main output jack pair is unbalanced RCA, and polarity is also switched by remote. Of the two remaining outputs, one pair is unbalanced RCA, inverted polarity only, and the other output pair is unbalanced RCA, normal polarity, featuring a fixed level for recorders. Remote control polarity switching uses gold-on-silver contact relays. Every section of the JC 2 uses premium internal components that were specifically chosen for specific functions in specific areas. 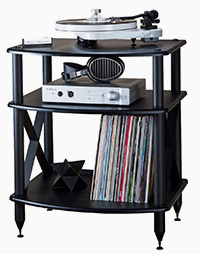 These include hand-matched, complementary input-stage and output-stage FETs, Vampire brand 24k gold-plated RCA jacks, Neutrik brand premium XLR connectors, and Canare brand internal wiring. The rear panel of the JC 2 is made of aluminum, for less magnetic impact on the ground plane and the signal jacks. And speaking of those connections, all grounding for the JC 2's inputs is completely isolated from all grounding for the outputs. 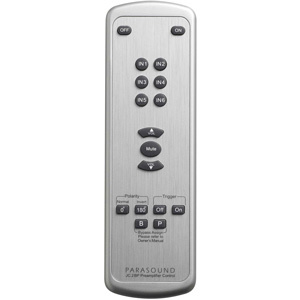 The included wireless remote controls all functions using discrete IR codes. A two-way RS-232 serial port connection and 12-volt trigger systems allows for easy system integration. Four 12v trigger output jacks allow for power amp auto turn-on. Two 12v trigger jacks are switched by the remote, and two 12v trigger jacks are live when the JC 2 is turned on. How is the JC 2 BP different than the JC 2? The JC 2 BP has Bypass circuitry and special software control which allow you to easily integrate it into a surround sound system. The JC 2 is not equipped with this. Should I buy the JC 2 BP or the JC 2? You should buy the JC 2 BP if you want to use the same left and right speakers and amplifier for both your analog stereo sources and for your digital surround sound sources. If you have the luxury of two entirely separate systems for stereo and surround you should consider the JC 2 because there will be no advantage to the JC 2 BP. Do the JC 2 BP and JC 2 sound different? In a word, no. The JC 2 BP sound and specifications are identical to the JC 2 in every respect. The Bypass function in the JC 2 BP is implemented without modifying the JC 2 left and right channel audio boards in any way. Can my present JC 2 be modified to include the JC 2 BP Bypass function? Yes. Parasound can modify your present JC 2 to include the new Bypass function. You can find additional information at www.parasound.com or by writing to service@parasound.com. "The new JC-2 lives up to its legendary forebear, offering outstanding neutrality, very low noise, high resolution of inner detail, excellent timbre and texture, excellent large-scale and small-scale dynamics, and a surprisingly large taste of the air and bloom that only tube preamps used to own." "The Parasound may not be quite as wide or deep in soundstage as some tube units, but it's still an excellent imager and soundstager and, overall, just plain astonishing for this kind of money." 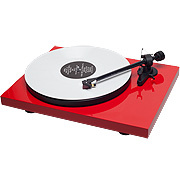 "Unequivocally the best preamp I have ever heard. One listen, and I just had to own one." "Curl has managed to create a quite affordable preamp that does seem to offer some of the same dimensionality and air and bloom and neutrality that, previously, only tubes gave you, without sacrificing any of the bandwidth, transient speed, or clarity of solid state tubes." "This is a terrific linestage preamp that would be a Product of the Year in any year." "The JC-2 allows music to emerge intact - with body, bloom, and dynamics, with definition and detail - from an utterly silent background. It allows your CD player and other sources to do their stuff. One more thing: the JC-2 excels at the reproduction of space. 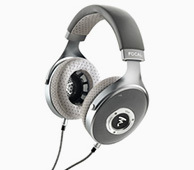 It helps the JC-1 power amps through a huge soundstage." "My guess is that the Parasound Halo JC-2 can compete successfully against preamps, solid-state or tubed, that sell for twice the price - or more. Like the JC-1, the JC-2 is up there with the best of them, but down to earth in price." "The JC 1 / JC 2 combo produces a remarkably detailed and shockingly realistic sound." "The JC 1 / JC 2 sound strikes a keen balance between offering superlative resolution and sounding beguilingly sweet and natural. I find myself totally absorbed by CDs that previously bored me." 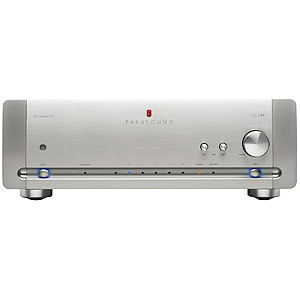 "If you are new to high-end audio, Parasound’s JC 1 / JC 2 combination is a great place to start. It would be worth your time to experience them firsthand through a dealer. 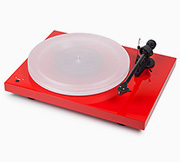 Bring along some of your favorite music, and be prepared to hear it like never before." 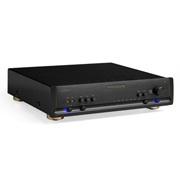 "The Parasound Halo JC 2 is a line-level preamplifier that delivers superlative sound. Like any good preamplifier, its primary function is to "get out of the way" of the signal coming from the music source and not impart any coloration of its own. The JC 2 is one of the closest preamplifiers I've heard to attaining this ideal, and lets the music come through with exquisite detail and clarity. 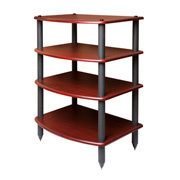 It's solidly built and performed flawlessly during hundreds of hours of operation. Although not cheap at $4,000, you get what you pay for without question." "...near-reference quality product that many of us can actually afford. Neutral and natural, transparent-to-sources, quick and delicately detailed, here is one solid-state preamp that doesn’t trade away key parts of the baby (air, bloom, color, three-dimensionality) for the bathwater of razor-cut imaging and iron-fisted control."